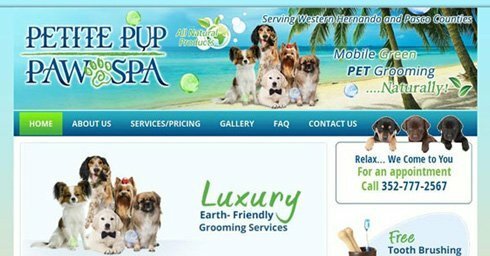 Petite Pup Paw Spa launches its new website created by Dharne & Co. The new website has a complete responsive design providing for an optimized browsing experience on every device, including mobiles and tablets. Marci has 45 years of dog grooming experience and provides specialized services in her mobile van in parts of Florida, Western Hernando and Pasco Counties. Petite Pup Paw Spa ensures high standards in comfort and safety of all pets and this is what has kept Marci going to promote her business online despite facing daunting challenges in the crucial years of her business. With the online presence Marci wanted to showcase her remarkable achievements and expertise in dog grooming services. Despite having a tight budget, she approached Dharne & Co, a web design company in Irvine, hoping to transform her thoughts into an attractive and a functional website. 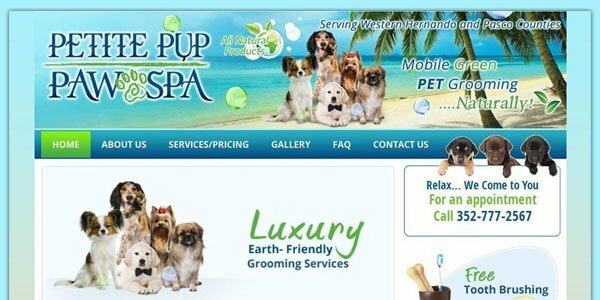 The new website establishes an impressive online presence for Petite Pup Paw Spa based in Spring Hill, Florida. The website www.mypetitepup.com is a full featured, easily navigable website based on the WordPress content management system with a complete responsive design providing for an optimized browsing experience on mobile and tablet devices. Dharne & Co is web design and marketing company based in Irvine, Orange County, California. Dharne & Co offers creative web solutions such as web designing, SEO and PPC management to businesses all over the world with an expertise of above 10 years in the web design industry.